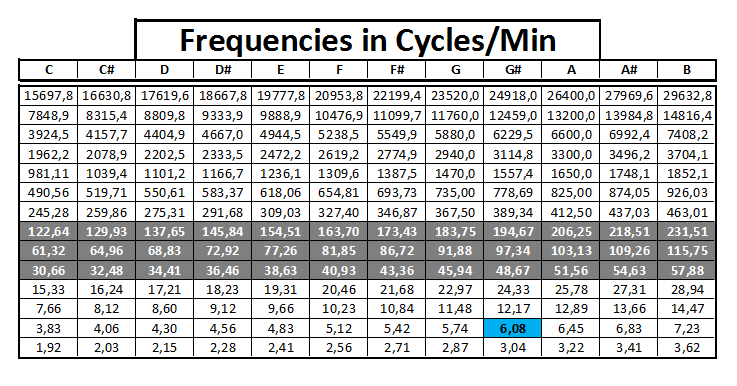 Frequencies can be mathematicaly extracted from Heart beats and heart rate variation spectrum. 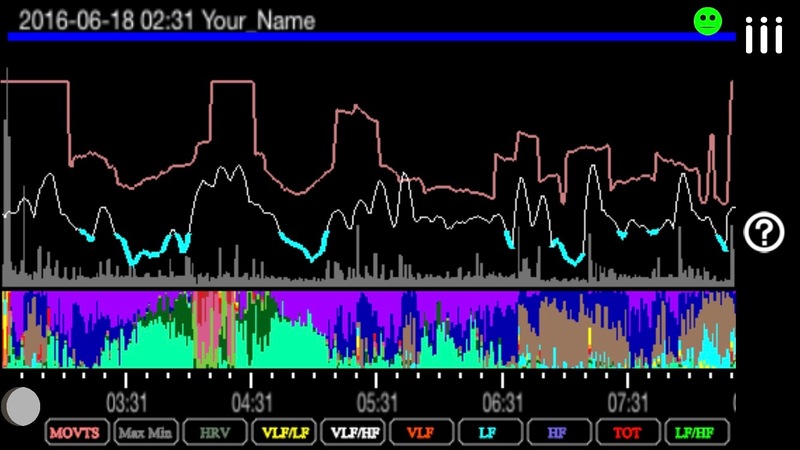 As music notes are related to specific frequencies, we can display the realtionships between heart frequencies and music notes and use this musical display to easily visualize the different parts of the night. 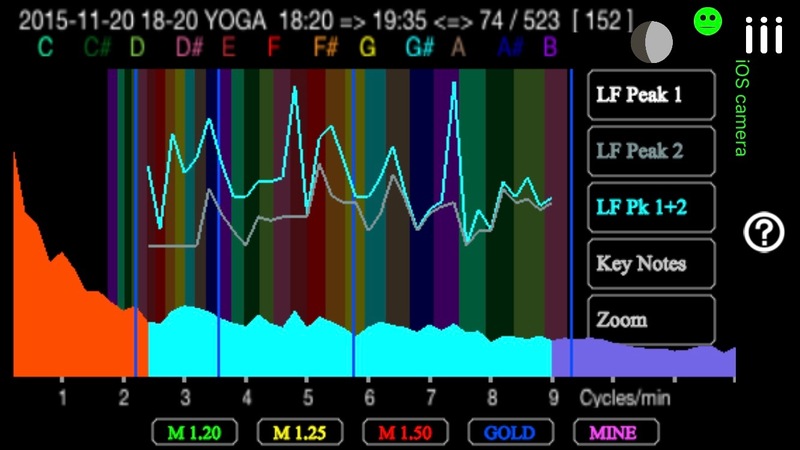 The relationship between musical signatures can also be a good indicator of your coherence state : harmonic inclusiveness, relationship/interaction of all the waves which are inside the body. 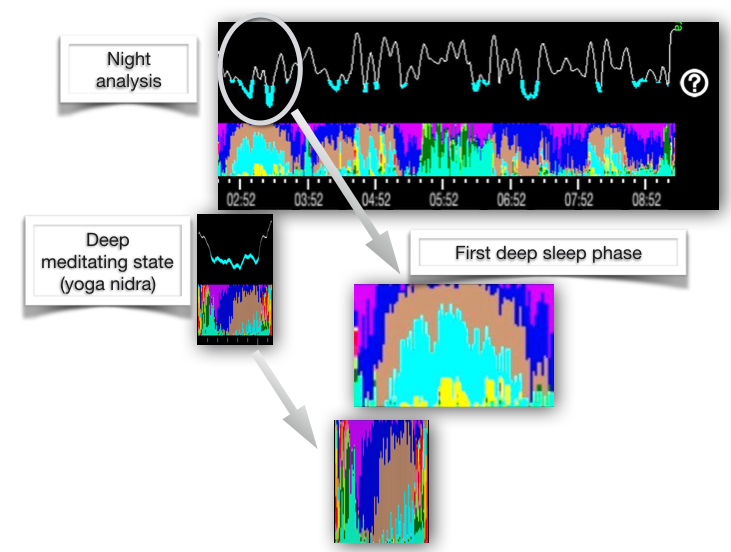 The deep sleep stage (or slow-wave sleep) is a period of the night where the EEG activity is synchronized, producing slow waves within a frequency of 0.5-3Hz. This is a period when the neocortical neurons are able to rest. The deep sleep is related to States 3 & 4 of the sleep stages. Deep sleep should represent about 25% of sleep duration in young adults. This percentage decreases up to about 10% with aging (5). 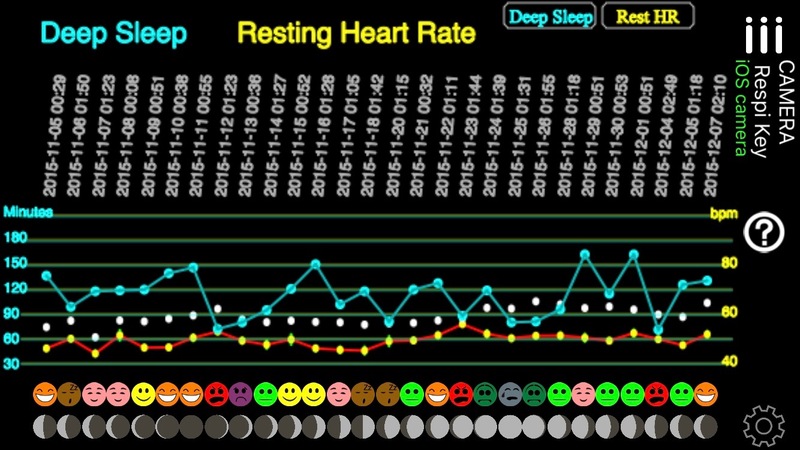 When we are depressed, less healthy or stressed, this deep sleep phase is reduced. Slow-wave sleep is the constructive phase of sleep for recuperation of the mind-body system in which it rebuilds itself after each day. 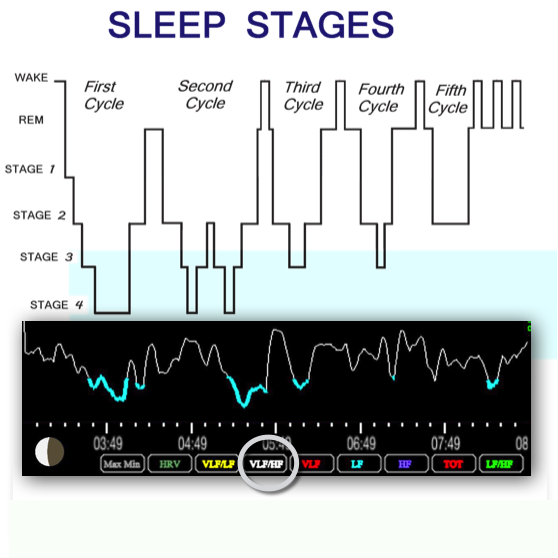 (2) Slow-Wave Sleep: Beyond Insomnia. Wolters Kluwer Pharma Solutions. ISBN 978-0-9561387-1-2. 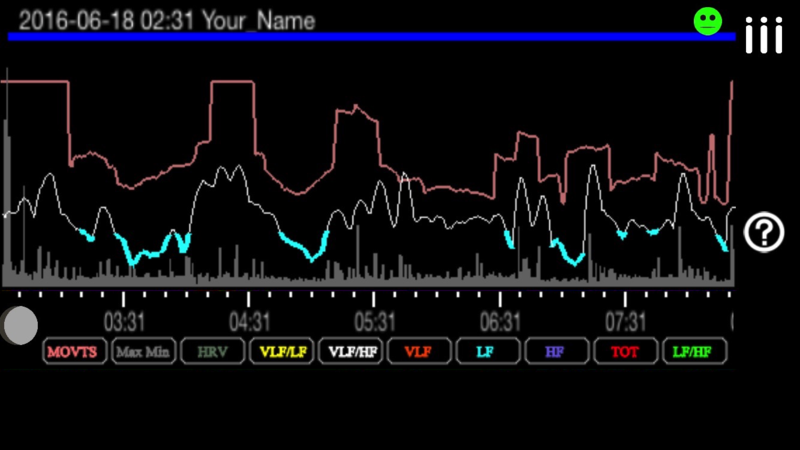 During deep sleep phase, VLF is significantly lower than in the other sleep stages; and HF is significantly higher (1). 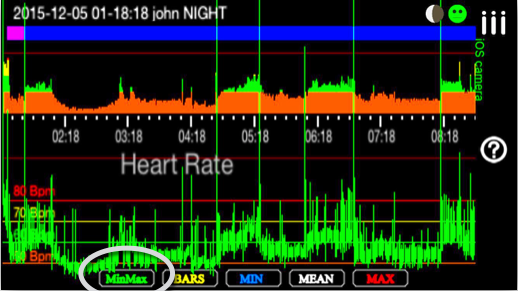 The gyroscope of the iPhone allows the recording of your night movements. 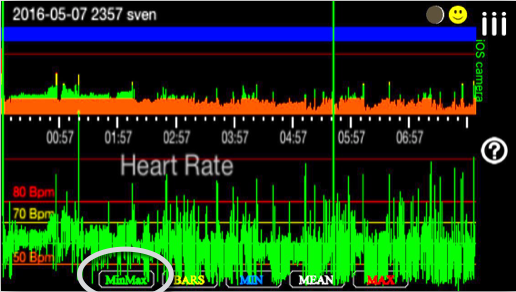 This movement analysis can be compared and related to the depp sleep stages extracted from the heart data analysis. 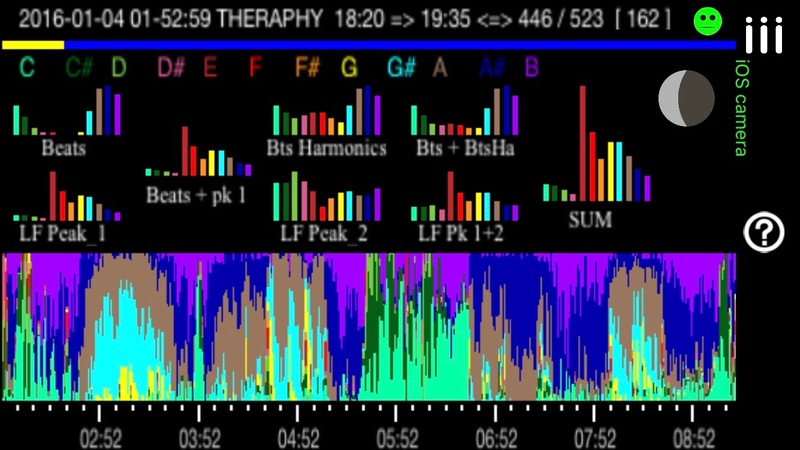 Different parts of the night can easily be visualized through the color display of the musical frequencies (music notes) extracted from the heart data analysis. 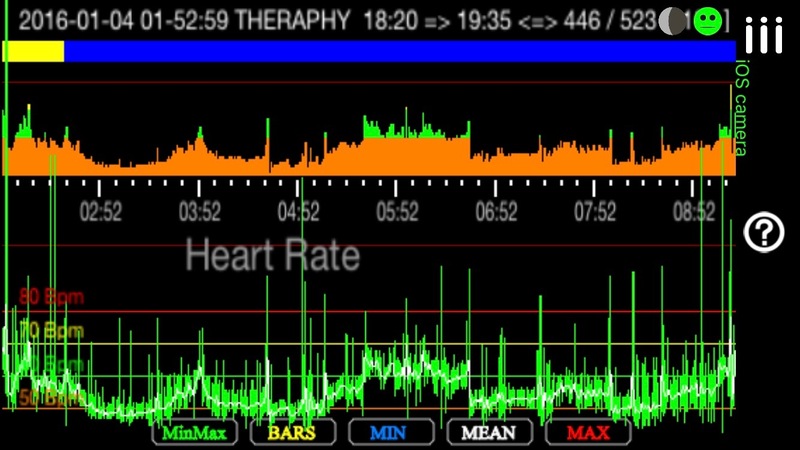 Evolution (history) can be a good indicator of Stress levels & heath pattern.